Novonix Battery Testing Services Inc., which tests batteries used as alternative power sources, has borrowed $500,000 from the federal government to help develop a new manufacturing facility. Bedford-based Novonix issued a statement on Monday saying it would receive the money from the Atlantic Canada Opportunities Agency’s Business Development Program. 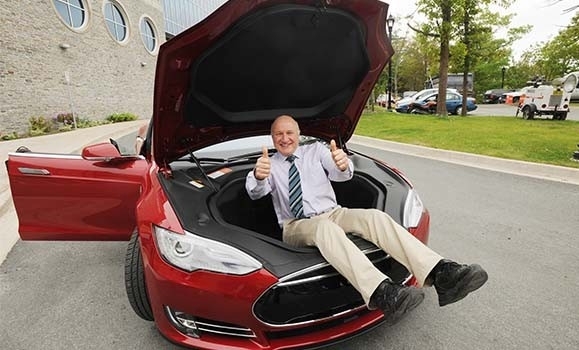 In 2013, the company was spun out from Jeff Dahn’s lithium-ion battery research lab at Dalhousie University in Halifax. It was then purchased about two years ago by Australia’s Novonix Limited, with Chinese battery giant CATL also coming in as an investor. He added the upgrade will also allow the company to move into small-scale commercial cell manufacturing. The story of Novonix began in Dahn’s lab, which has gained an international reputation for its research into lithium-ion batteries. Improving the life-span and performance of these batteries is viewed as an essential element in developing markets for green products like electric cars. The laboratory drew national attention in the summer of 2015 when it signed a five-year research partnership with electric-car-maker Tesla. It marked the first collaboration between Tesla and a Canadian university. Novonix Co-Founders Chris Burns and David Stevens, both PhDs who worked under Dahn, started the company to develop a product that could reduce the time needed to test the life of these batteries. The CBC reported in 2017 – the last time Novonix tapped ACOA’s Business Development Program – that it can take months or even years to test lithium-ion batteries with other methods, but Novonix can do it in weeks. Novonix has sold more than 1,000 testing units, with customers in 12 countries. About half of Novonix’s sales are in North America, with about 35 per cent in Asia and the remaining 15 per cent in Europe. Its clients include such multinational companies as Apple, CATL, 3M, Panasonic and GM. The company had seven employees at the time of the 2017 buyout and the staff has now grown to 15 people. In the next year, it expects to add five to seven more employees. With its new funding, Novonix plans to add a pilot manufacturing program to accelerate the research and development of new and improved battery materials. The statement said the company is getting ready to meet the expected growth in demand for highly efficient batteries, specifically for electric vehicles, as battery prices drop and restrictions increase for diesel and gasoline powered cars.